In many real classification problems the data are imbalanced, i.e., the number of instances for some classes are much higher than that of the other classes. Solving a classification task using such an imbalanced data-set is difficult due to the bias of the training towards the majority classes. 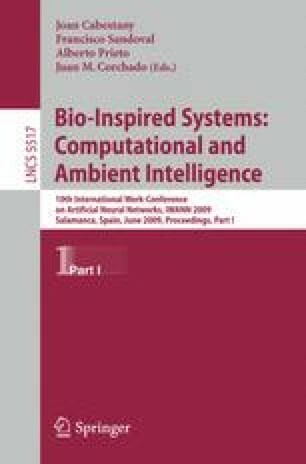 The aim of this contribution is to analyse the performance of CO2RBFN, a cooperative-competitive evolutionary model for the design of RBFNs applied to classification problems on imbalanced domains and to study the cooperation of a well known preprocessing method, the “Synthetic Minority Over-sampling Technique” (SMOTE) with our algorithm. The good performance of CO2RBFN is shown through an experimental study carried out over a large collection of imbalanced data-sets.